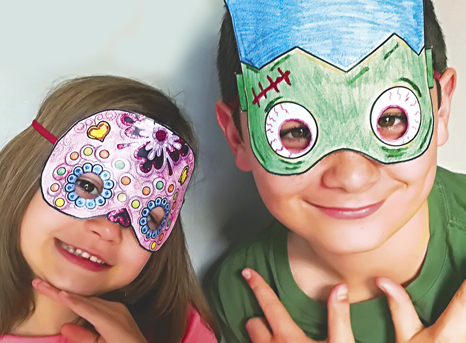 Halloween masks to print and decorate! Easy and fun craft activity for Halloween at home or school. Download the step by step instructions below and print out the easy to use templates here!